Although we take the most pride in installing SunPower systems, it is not the only product we are able to offer. Evoke works with several distributors to deliver a wide variety of options. Standard Efficiency panels are among the least expensive with efficiency ratings around 15-16%, equipment warranties ranging from 10 to 15 years, and performance guarantees for 25 years at 80%. LG and Panasonic make High Efficiency panels that are a step above these options with effiency ratings that generally run between 18-19% and similar warranties. Their higher performance often provide a nice balance between quality vs. cost. Regarding other equipment, when not installing SunPower, we offer SolarEdge inverters and optimizers that greatly increase the performance of your system. There are many options available depending on current prices and your preferences. 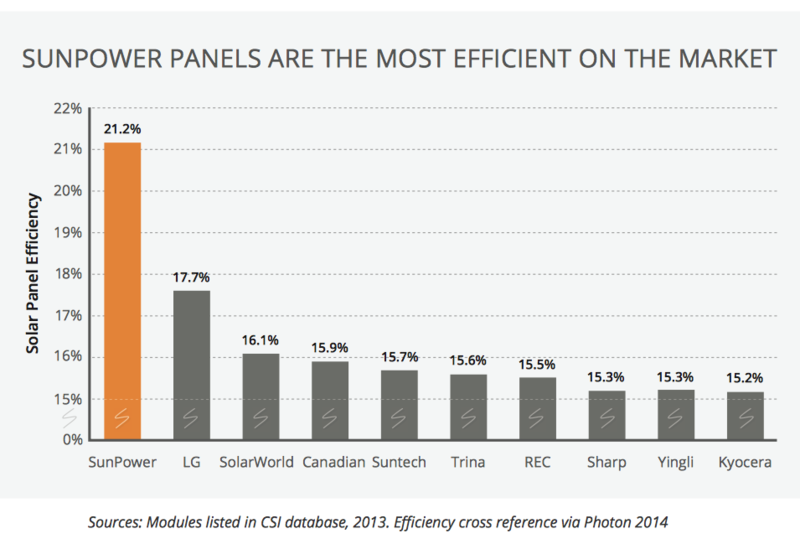 We work with SunPower, our distributors, and each customer to find the right fit according to your priorities.